Product #60579 | SKU DV/RES/BBPNLMLEKB | 0.0 (no ratings yet) Thanks for your rating! A deposit of $160.00 is required for this pre-order. 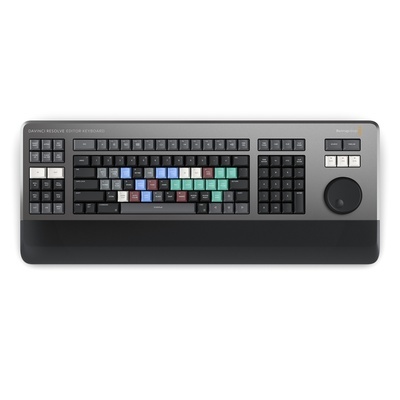 More than just a simple keyboard, the Blackmagic DaVinci Resolve Editor Keyboard has been designed as an alternative way to edit that’s much faster than a mouse because customers can simultaneously use both hands at the same time. Customers also get an integrated search dial built right into the keyboard. Can be installed into a hole cutout in edit consoles.